Little Critter (Mercer Mayer): I love these books for so many reasons. Little Critter is open with his emotions (and he has many emotions), which makes them seem somewhat realistic to me. Little Critter is never perfect, but he always tries his best! Also, the illustrations are fun. Look for the spider and the mouse in every picture! You never know what they’ll be up to! 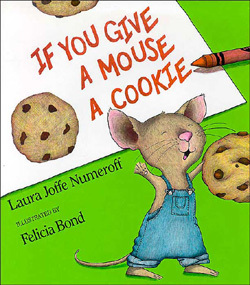 If You Give a Mouse a Cookie… (Laura Joff Numeroff): There’s only one “If You Give a Mouse a Cookie” book, but there’s a whole series of “If you give a ____ a ______” like “If You Give a Pig a Cupcake”. They’re all fun, silly books. They don’t teach any life values, but if you want books that are full of imagination, this is it. After you’ve read some, try to make up your own version with your little one! Fancy Nancy (Jane O’Connor): I know what you’re thinking. “But Amy, I thought you didn’t like things that were so focused on gender!” I can’t help it. I love Fancy Nancy. But I don’t think they have to be just for girls. Boys can like them too! Nancy is a sweet girl who just happens to have a huuuuge, fabulous personality. She likes everything to be fancy, from her clothes to her crafts to her vocabulary! The books introduce lots of “big” words and makes them fun to use! Nancy is another character who’s not perfect. She makes mistakes, and that’s ok. Her down-to-earth mom and dad are always there to help her figure things out. And her little sister, Jo Jo, is a bit of a tomboy, which I think is spectacular (that’s fancy for super great)! 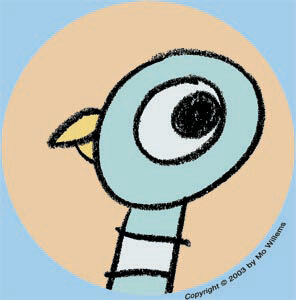 Pigeon Series (Mo Willems): Pretty much anything by Mo Willems is great. The pigeon series is funny and interactive, and kids love them! They’re just so much fun! Mo Willems does a great job expressing emotion in his characters. They are written in a “comic book” type format, so I always point to the character who’s speaking as they say what’s in their speech bubble, just to help the kiddos out. If you like the books, try the silly games on Mo Willem’s website! This article says it all. Girls don’t always have to be little princesses. Why is that so difficult for some people? I found this video linked on my facebook feed and had to give my two cents. It’s about the definition of “masculinity” in the US, and how that’s affecting boys as they grow up. This is an issue I feel very strongly about. I was terribly disappointed in many of the responses the post got. So many people didn’t agree, thinking that the video implied that people should raise their boys to be weak, to not work hard, and to not stand up for themselves. But they got it all wrong. The problem with how most parents in the US raise their boys is that they teach them that they can’t have certain emotions. When did emotions become part of gender roles? Girls are allowed to be sad, empathetic, tender, and kind. They can be shy or brave, excited, anxious, or scared. Boys can be stoic or angry. That’s not a lot of choices. And perhaps when these boys get to be grown up, they can figure out for themselves that it’s ok to have more emotions, but when you’re young, it’s hard to see more than the black and white. And many men never get past those issues. What really gets to me is how different our perception of a “strong woman” and a “strong man” are. A strong woman feels many complex emotions, but she uses these emotions to fuel her determination to improve things. She feels sad, then picks up the pieces, more determined than ever to move on and overcome what’s happened to her. These emotions, and the experiences that cause them, are teaching tools for her. They don’t stop her from her goal of becoming a better, stronger person. A strong man, on the other hand, never allows himself to be sad or scared. He’s somehow “too strong” for those emotions, supposedly immune to them. He can’t discuss pain that he has inside him for fear of looking weak. So any emotions other than anger are pushed deep down inside him, never to see the light of day. But they’re never gone. They just tear at him inside. Why can’t we teach our boys that they are allowed to feel emotions? They’ll have them whether we acknowledge them or not. They shouldn’t have to feel guilty about feeling. And we can still teach them to be “strong” if we redefine what that is for a man. I strive to teach boys that everyone has emotions, and that’s completely healthy. I teach them that though they can’t control their emotions, they can control how they react to them. I teach them that even when something gets hard, you have to be determined to follow through. I teach them that every time you challenge yourself, you become a better person. I teach them to be kind, to empathize, and also to stand up for yourself when you need to. “Strength” isn’t ignoring the things you feel and pretending you don’t care. Strength is feeling every emotion, but not letting them overcome you. My young guinea pig and I had tons of fun playing this game. It’s fast paced, and with just the two of us, each game took about 10-15 minutes. The cards add a lot of variety to the game play. My 6 year old already reads well enough that he could read all the cards pretty well and knew most of the 5 letter words, but I think it’d still be just as much fun for a child who’s just learning to read, and it could definitely have some educational benefit. A lot of “educational” games end up being more learning and less fun, but not this one! We’ve already played it a bunch of times, and I definitely see us coming back to it again and again. This game definitely takes longer- 30-45 minutes. It’s also not as fast-paced. It has a lot more strategy, since you’re having to decide which side of the board to play your state on to get a sequence faster. You always need to think about how to best keep your opponent from getting a sequence. My charge was already familiar with state names and already knew many of their capitols, because of collecting state quarters and playing an ipad game about states. So the states/capitols aspect of the game was pretty easy to grasp for him. The board is set up with the name of the state and a picture of the state (colored the same as on the matching card), and the cards have the name of the capitol and a picture of the state. The game also comes with a list of all the states and their capitols. So you have lots of ways to figure out what goes where. I would definitely recommend playing this with someone who is at least a little familiar with state names and what they look like. So depending on the kid- 6-8 or older should work out. The strategy element of the game can be fun and challenging, but definitely slows down the game. A child with more patience and focus would do better. My 6 yo and I enjoy playing this game when we have enough time set aside! 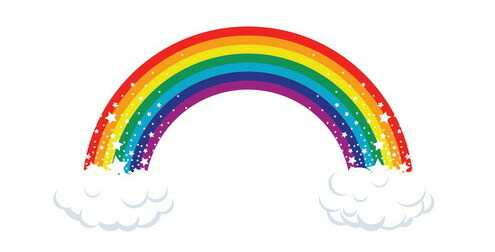 The latest book I read on my kindle is called “Raising my Rainbow” by Lori Duron. This is a lovely book, an expansion of Lori’s blog, also called “Raising my Rainbow”, which chronicles her challenges and adventures in raising her youngest son, C.J., who is gender- nonconforming. He is a boy who likes “girl stuff”. Lori’s blog is great, and her book didn’t disappoint either. Both of them are filled with compassion and love and heart ache, and they can really change the way you look at the world. I’ve never been a fan of pushing children into traditional gender roles. I think it’s perfectly fine for ANY child, regardless of gender, to like any combination of sports, dolls, nature, construction toys, crafts… basically, I think children should be able to like whatever toys, activities, and colors they want. Why shouldn’t they? I currently work with a 6 year old boy who is definitely a boy. He’s active in sports and enjoys playing with cars and legos. But he has a tender, creative side, too. He likes to play with his stuffed animals and do art and his favorite colors are all of them, even pink and purple. *gasp* And even in kindergarten, he got teased by kids because he said he likes the color pink. Really. I think every parent and caregiver out there should read Lori’s book or blog, or both. It’ll help you look at the world with a little less judgement and a little more compassion for differences. And hopefully, you’ll start getting angry at the “boy” aisles and “girl” aisles of the toy store that send a message to kids about what they can and can’t like. Toys are for everyone. Colors are for everyone. Every kid should be able to enjoy whatever activity they want without shame. It’s really not that difficult, is it?